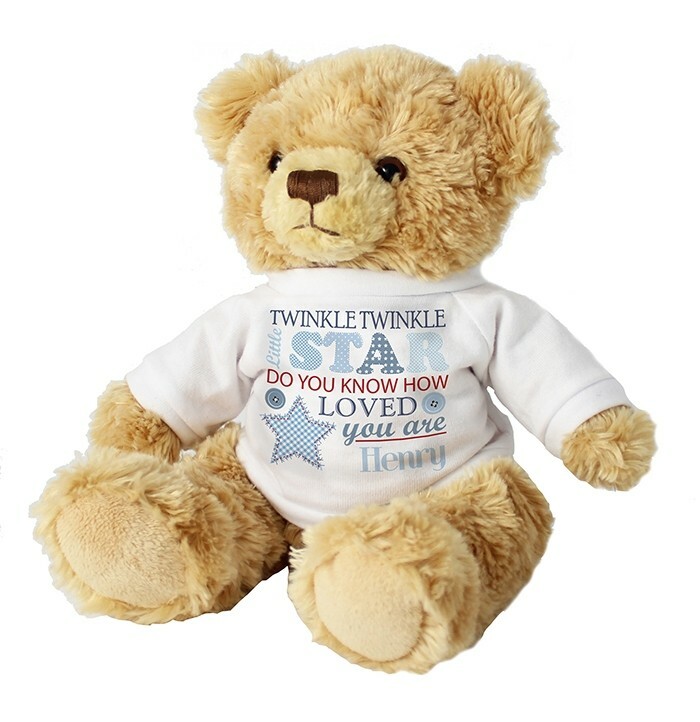 Personalise this fluffy cute Twinkle Boys Teddy with a name up to 12 characters. Personalise this fluffy Twinkle Boys Teddy with a name up to 12 characters. 'Twinkle twinkle little star do you know how loved you are' is fixed text. PLEASE NOTE: Due to the font type used please refrain from using all capitals in your personalised message. If the message is all in capitals you will find the personalisation extremely difficult to understand and may even result in personalisation being missed off the product. Many thanks for your cooperation Ideal for Births and Christenings.